8/31: Renamed “addMemeConfiguration” to “addMemeTemplate” — it is expected to process meme templates, not configurations. You will build the Memebase in four different components; each assignment will be one component. Each component will conform to a common interface, allowing them to be independently developed and tested. The final result will be a working website that allows users to generate memes, create accounts to share and track their memes. You’ll need to install Node.js on your computer — version 8 or higher. You can follow the instructions on the Node.js installation page for the “LTS” version to get it installed. You’ll also need to install GraphicsMagick on your computer. Windows users can use the GraphicsMagick installer package. Mac users can install homebrew, then run brew install graphicsmagick in the terminal. Linux users should use whatever package manager they use to install graphicsmagick. Note – After installing Node and GraphicsMagick, to make sure it works in your command shell, you should close your shell and open a fresh one. Finally, it is not required that you use an IDE, but it’s a really really really really good idea. JetBrains’ IntelliJ/WebStorm is a great choice — if you already have IntelliJ you can add the NodeJS component to it, or simply download WebStorm. You can get a free license to use any of the JetBrains IDEs by filling out this simple form. Important note: DO NOT MAKE CHANGES TO PACKAGE.JSON; DO NOT INSTALL NEW PACKAGES. When we grade your project, we will grade it using the original package.json file! * different positions. The meme is written directly out to the image file specified in the configuration. Each text block is a stand-in for text that can be placed in by the meme builder. The location is specified in x/y pixel coordinates, and/or using GraphicsMagick’s gravity parameter. 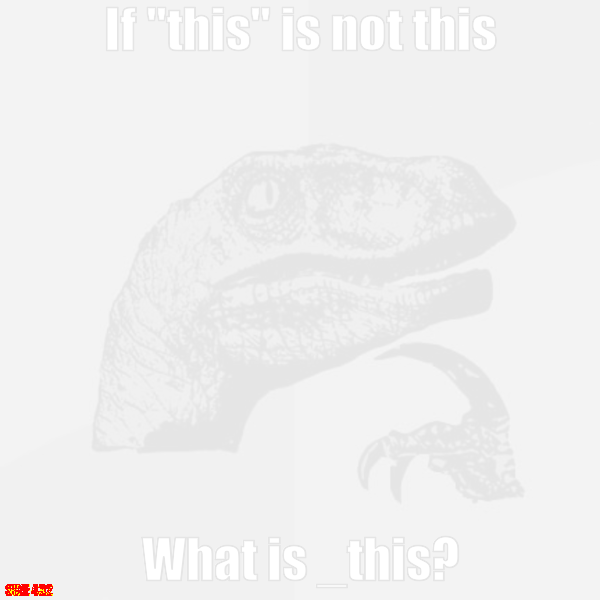 Since there is no text element defined here, the meme generator will inherit the element from the default template. This configuration defines a meme that will get output to a file named You-Get-A-Meme.png, using the meme template named Oprah, and defining text for both the top and bottom position (which are defined in the template). Note that if you would like a line break to appear in the text, use the \n escape character. If you would like quotes, they also need to be escaped (e.g. ” becomes \”). The first step will be reading in the list of meme templates and configurations and validating them. You should implement the functions constructor, addMemeTemplate and validateMeme in MemeGenerator.js. You should partially implement generateMeme, stubbing it to simply call validateMeme (no need to generate the graphic yet). When the constructor is called, it will be passed the name of a JSON file with the same structure as meme-data.json. You should parse the JSON file in and store the information about each meme template as an instance field of the MemeGenerator. You should implement addMemeTemplate to take a single meme template as input and add it to that same internal data-structure (for later use). Added 9/5: Hints – You should check out the built-in function JSON.parse for converting JSON into a JS object; you should check out fs.readFileSync to see how to read the contents of a file into a string (which perhaps then you might parse into a JS object). generateMeme must return a promise — so at this point, it should return a new Promise, which will be rejected if there is an error, or resolved otherwise. Part 1 will be graded with 4 automated tests (6 points each), plus 6 points from manual inspection. These automated tests are not included with the handout, but will run when you submit on Autolab (see part 2). We have written four automated tests for part 1 to check the error handling. Before moving on to actually generating graphics, you will implement the same tests yourselves. This will help you to get your feet with with writing tests for JS, and also with using asynchronous Promises. Note (9/7): The above test should be specifying text for a meme, specifying a text block that doesn’t exist. Note (9/7): The above test should be specifying a “top” or “bottom” text for a meme that uses a meme template that has “text” blocks defined, but does not have “top” or “bottom” as valid options. You can consult the Jest API for pointers on how to structure these tests. The logic of these tests should be self explanatory based on the title of the test, if in doubt, post on Piazza. Hint: look carefully at the doc example to test promises returning errors – in particular, the use of catch, and that return. The tests must interact with the MemeGenerator only with the methods constructor, addMemeTemplate, and generateMeme — they must not call validateMeme directly, and must not access any fields of your MemeGenerator or call any other methods of it. Beware that generateMeme returns a promise — you must write your tests to await the completion of the call. Part 2 will be graded using known correct and incorrect implementations of the MemeGenerator class — your tests should pass on the correct implementation and fail on the wrong implementations. You will not have access to our correct or incorrect implementations of the MemeGenerator — but each time that you submit on AutoLab you’ll get the results. For each of the four tests, you will receive up to 5 points. You’ll get 4 points if your test passes and fails when it should, plus 1 point from manual inspection. A test that passes always or fails always will receive 0 points. Write the image out to disk at the specified location ( name in the meme configuration). WARNING: the “write” function in gm is asynchronous — so you will need to use a callback to find out when the image has been written out. To successfully pass the tests, you will need to perform these steps precisely. In particular, you must make sure to only resolve the promise after writing the image to disk succeeds. 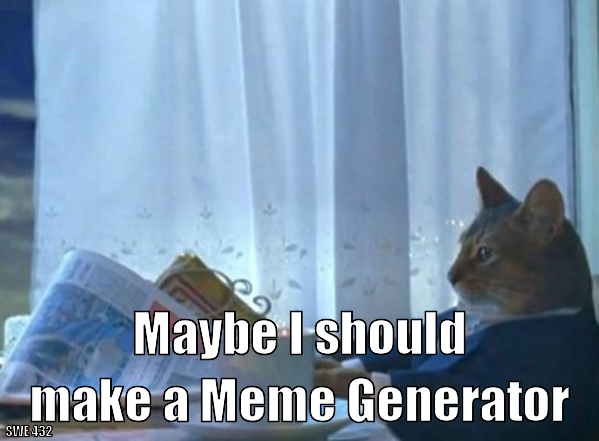 You can run your meme generator for testing purposes on a few inputs by running the index.js file (e.g. node index.js), which will attempt to generate a variety of memes. Most of the image is spot-on: this is the part that is faded out. The red/yellow in the bottom left is indicating that that part of the image is incorrect. Part 3 will be graded primarily by the automated test suite (which is available to you both locally with npm test and also runs when you submit to AutoLab). There are 4 tests, worth 10 points each; the remaining 10 points will be assigned from manual code review. Your meme generator will be graded for correctness using a series of automated tests, and also by hand (as described in each section above). When you submit to Autolab, it will assume that you receive full marks from the manual grading component (6 points for part 1, 5 points for part 2 and 10 points for part 3); this may of course go down when we actually grade your final submission. We are primarily looking for basic code quality (naming, indentation, etc), as well as correctness with handling asynchronous operations (which are incredibly tricky to check automatically). You must turn in your assignment using Autolab (You MUST be on the campus network, or connected to the GMU VPN to connect to Autolab). If you did not receive a confirmation email from Autolab to set a password, enter your @gmu.edu (NOT @masonlive) email, and click “forgot password” to get a new password. To prepare your code to be submitted, run npm pack in the assignment directory. This will create an archive thememebase-1.0.0.tgz – this is what you will submit to Autolab. Do not try and generate this archive without using npm; it’s highly likely to cause Autolab to reject it. When you upload your assignment, Autolab will automatically compile and test it. You should verify that the result that Autolab generates is what you expect. Your code is built and tested in a Linux VM. Assignments that do not compile using our build environment will receive a maximum of 50%. Note that we have provided ample resources for you to verify that our view of your assignment is the same as your own: you will see the result of the compilation and test execution for your assignment when you submit it. Important note: You must manually delete the generated file thememebase-1.0.0.tgz each time after you submit, before you do npm pack again. Otherwise the old submission gets included in your next submission, making the submitted file too large. It will be rejected by Autolab immediately if the archive is too large. You can resubmit your assignment an unlimited number of times before the deadline. Note the course late-submission policy: assignments will be accepted up until 24 hours past the deadline at a penalty of 10%; after 24 hours, no late assignments will be accepted, no exceptions.